Title: 'A New and Correct Map of Ye World laid down according to ye latest and best observations'. 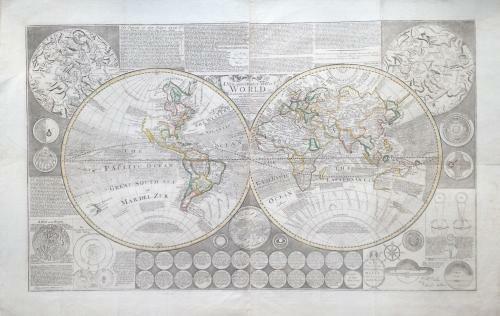 An unrecorded variant of the 1714 Overton map - that seems to be a later stage version of the 1737 Foster world map . The map is in very good condition, with one small area of border replaced at upper right (1 cm of border facsimile added). plates - notably the London (see Howgego), so the transfer makes sense.